The process of probate is chiefly designed to insure that any and all creditors of the decedent are paid before the assets are distributed to the heirs of the decedent. In other words, an heir is entitled to his or her inheritance, subject to the payment of the decedent’s debts. For many years, the state of Texas has allowed a testator to appoint an executor to serve independently of the court in administering his or her estate, by specific language used in the Will. An independent administration involves the executor’s payment of all valid debts of the decedent and distribution of the probate estate, pursuant to the terms of the Will. 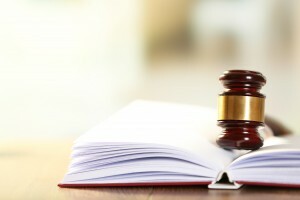 The following discussion assumes that the decedent’s Last Will has indeed appointed an independent executor, that the Will was properly “self-proved,” and that no out-of-state real property was owned by the decedent. The first step is to locate the original copy of the decedent’s Last Will, which must be produced and filed in the proper court. Typically, probate is initiated in the county of the decedent’s permanent residence. The type of court (whether a statutory probate court or a county court at law) depends on the particular county. The person who is named an independent executor hires the attorney to handle the probate and assist with the estate administration. The attorney prepares a court pleading to which the original Will is attached and filed with the county clerk’s office. The deadline for doing this is four years from the death, but it is preferably done within a month or two of the death, so that the independent executor can gain access to funds and other assets, to pay creditors (including the Internal Revenue Service) and maintain the assets until the estate is closed. The Texas Estates Code requires that this pleading and the Will stay on file for at least ten days before a hearing may be held to admit the Will to probate. This is a fairly archaic waiting period, based on the theory that all potential contestants may read the pleading which is posted at the county courthouse. (By statute, a Will may continue to be contested after being admitted to probate for two years thereafter.) After the necessary ten day period has elapsed, a hearing is conducted by the attorney, with a witness to the facts of death (commonly the independent executor will serve as the witness). Then, the independent executor signs his or her Oath of office, at which point the county clerk’s office will issue Letters Testamentary. The purpose of Letters Testamentary is to authorize the independent executor to secure access to all assets of the decedent. The next step is for the independent executor to provide two notices: first, to send notice of the Will’s probate to the beneficiaries under the Will; and second, to publish notice in a county newspaper indicating to all potential creditors of the decedent that he or she has been appointed as the official party to notify concerning debts of the decedent. Unless the estate involves controversies among the beneficiaries or creditors, then the only other court involvement is the optional filing of a probate inventory, describing all assets that pass through the Will, as well as a value for each such asset as of the date of death. In lieu of this public filing of a probate inventory, the independent executor can file an Affidavit in Lieu of Inventory, but must still prepare a private inventory of estate assets that is available to the estate beneficiaries. The above discussion summarizes the typical probate process in Texas where an independent executor is appointed and no controversies erupt. That, however, does not conclude the administration of a Texas estate, which is more open-ended, depending on the complexity of the estate in question. The first order of business for the independent executor is to take control of all probate assets and make sure that all such assets remain secure, including the monitoring of investments during the pendency of the estate administration. The next step is to assess and pay all valid debts as applicable. One of the most important debts to pay is taxes. This includes all remaining Federal income taxes of the decedent, as well as any Federal estate and applicable state inheritance taxes. Even if no Federal estate taxes will be due, it is nonetheless important to evaluate whether to file a Federal Estate Tax Return so that any unused estate tax exemption of the decedent may be “ported,” or passed, to the surviving spouse for later use. The independent executor should engage a tax accountant well-versed in the area of trusts and estates taxation, as well as the attorney, both of whom can offer advice and counsel in connection with these obligations. This is critical since the Internal Revenue Code assigns personal liability to an executor to the extent of any underpayment of taxes, even if the executor has distributed the estate to the beneficiaries and cannot obtain reimbursement from them for some reason. Because of the personal liability for taxes and potential exposure from unpaid creditors, the independent executor should consult with the attorney as to relevant statutes of limitations to determine when it is recommended to close the estate. While the estate is open, it is a separate taxpayer, responsible for reporting and paying its own income taxes. The independent executor must also work with the attorney and tax accountant in connection with funding the bequests under the Will, taking into consideration post-death income taxation. Finally, the independent executor may wish to obtain a release from any future liability from the beneficiaries upon closing the estate. Given the competing interests of the Internal Revenue Service, other creditors and various beneficiaries, the job of an executor is a serious responsibility, which should be undertaken with care and with the input of professional advice.